Pool Temperature Monitoring and Pump Control with Pi Zero W #piday #raspberrypi @Raspberry_Pi « Adafruit Industries – Makers, hackers, artists, designers and engineers! This summer I created a pool temperature monitoring and pump control system using a Pi Zero W. This article gives an overview of the system and how I put it together. It allows the temperature of the air and water to be displayed on a web page while automatically turning the pump on and off according to a preset schedule. 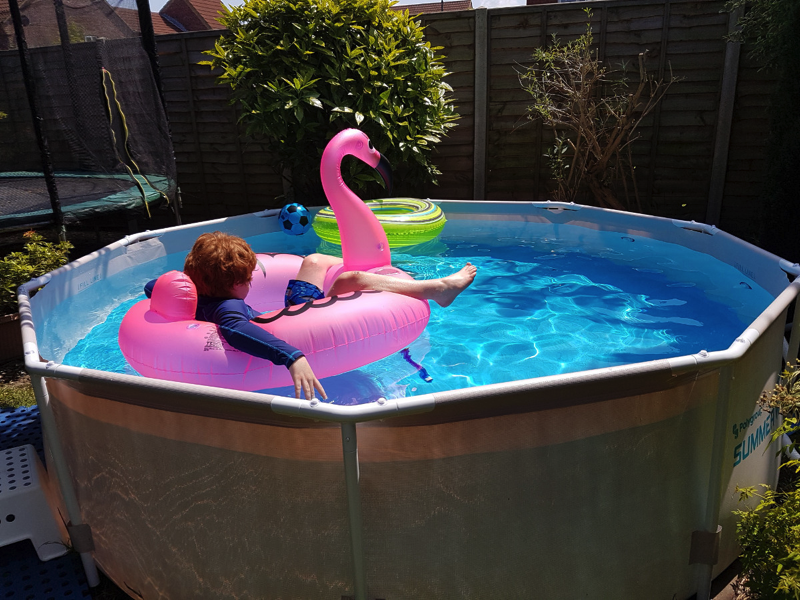 We originally had an 8ft Bestway “fast set” pool with an inflatable ring around the top. This proved to be slightly incompatible with the 3 cats we share the garden with. So this year we changed it for a 10ft metal framed “Summer Escapes” pool. It holds 4100 litres of water and I had no idea what temperature the water ever reached or how this related to the air temperature. I also had no way of easily controlling the pump without fiddling with the settings on a mains timer.